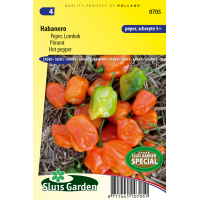 The favourite pepper in the Caribbean and around 15-20x hotter than for example a Jalapeno or Cayenne pepper. Hotness 5+ based on the Scoville "Heat Units" scale (1 to 5). 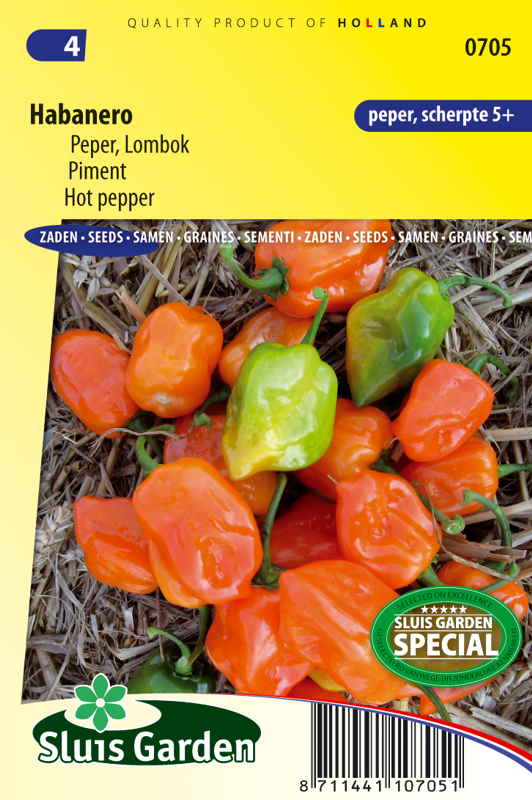 One of the hottest peppers in the world, so be careful!! Sow in a greenhouse in seedbeds or directly in 10 cm pots. After emergence prick out and later transplant to an unheated greenhouse or outside to a warm, sheltered spot.